Neptune Krill oil the very best. Krill contains Choline, an essential neurotransmitter. Krill oil also contains fatty acids similar to fish oil. These fats are thought to be beneficial fats that decrease swelling, lower cholesterol, and make blood platelets less sticky. When blood platelets are less sticky they are less likely to form clots. 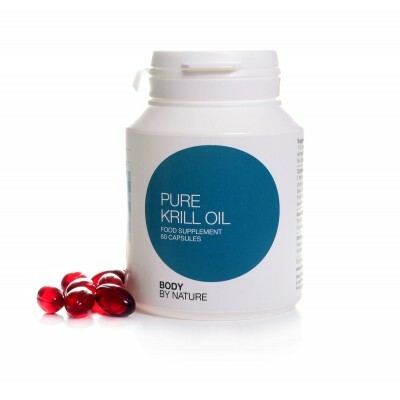 I'm picking out the Pure Krill Oil as your best bet among the countless fish oil and other krill oil supplements in the market today. Compared to fish oil, Krill Oil offers better absorption and is more resistant to rancidity. * It also doesn't have any fishy aftertaste or side effects even at high dosages. But perhaps topping the list of differences is its being free from mercury contamination, which afflicts most fish and seafood from the lakes, rivers, streams and oceans. Only two capsules of this supplement can go with your first meal for daily support. Explore possibilities with the Pure Krill Oil today and see how much more positive difference it can spell for your health and wellness. Krill oil can benefit our bodies in many ways and this is mainly because of the high levels of the essential fatty acid'Omega 3'. It has the ability to lower cholesterol. Krill oil features one of the most potent anti-oxidants on earth - Astaxanthin which also has inflammatory properties. One other beneficial ingredient in our range of krill oil is Coline. Its a vital neurotransmitter and for many people it is lacking in their diet. Body by Nature Krill Oil comes from Neptune, the market leader in krill oil (NKOä‹¢) Consuming our product will improve brain function. Improves the bodies cardiovascular system as well as the heart. Women can benefit tremendously from our range of krill oil as it can help with symptoms of PMS, including anxiety, and abdominal or lower back pain. Our oil can also help lower triglycerides and APO proteins, which are tell-tale precursors of Diabetes. Astaxanthin has been proven to be the strongest natural antioxidant known to man. It works in every single part of your body both exterior and interior. All the ingredients in our Krill Oil are present in naturally-occurring levels (many companies add in synthetic Astaxanthin to elevate levels). Furthermore, krill are made up of phospholipids, so they are much easier for the body to absorb and therefore, you don't have to take as much to receive krill oil benefits. Our suppliers are committed to maintaining the sustainability of Krill within the strict guidelines of CCAMLR (The Commission for the Conservation of Antarctic Marine Living Resources). Phosphatidyl Choline: Krill phospholipids contain choline, a vital nutrient, and neurotransmitter precursor essential to brain and muscle tissue. Phosphatidyl choline participates in fatty acid transportation in the blood and across membranes. We need to consume Colline and it's important we start early and continue into our later years. Deficiency has been linked to memory, growth and hepatic disorders. If there is any deficiency of the liver, or if you are on antithromotic drugs (e.g. Warfarin or Heparin), please consult a doctor first and take no more than 1 capsule per day. This product is derived from shellfish and therefore should not be taken by people with sensitivities to shellfish or fish.